Two DP70 (2336+2351). Closed May 1992. DP70 sent to Sergel #1, Stockholm. Two DP70 (1734+1837) installed 1969. DP70 taken out 1985 and sent to Saga #1 Enköping. Two DP70 (1354+1355) in very good condition. Cinema opened in 1955 with 386 seats. Now 181 seats. 10,1 x 4,3 m screen. 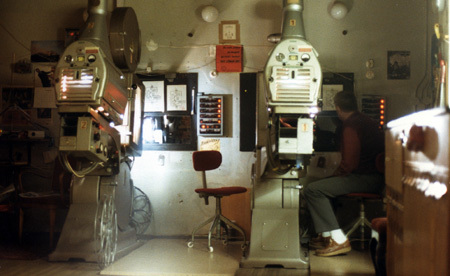 70mm from 1988 on two Zeiss Favorit 70 projectors (from Palladium, Hälsingborg, Sweden) DP70 from Ri-Tvåan, Stockholm summer 1991. All formates 1,37:1, 1,66:1,1,85:1, 2,35:1 and 2,21:1. Dolby SR, JBL and THX. 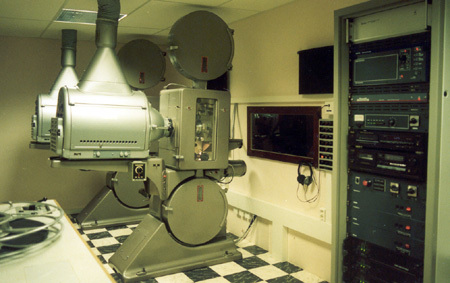 Projectors have been sold to The Norwegian Film Institute, Oslo February 1996. Two DP70 (1816+2299). 1816 (L) from private, Stockholm. 2299 (R) from Saga Stockholm. Installed fall 2016. First 70mm film "Dunkirk", 2017. Two DP70 (2344+2371) from Saga, Hälsingborg. Opened 14 August 1919 - Palladium closed 17 February 2008. "Windjammer" was shown in 3-strip Cinemiracle from 12.07.1960 - 13.11.1960. 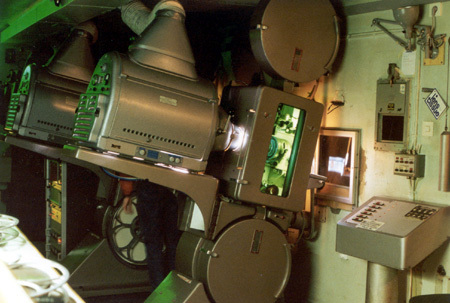 Century projectors stored for several years and then sent to Stockholm for further storage and then scrapped. Also two Ernemann X, Dolby CP100 and 905 seats. DTS. Machines to private in Göteborg. Two DP70 (2336+2351) installed August 1998. First 70mm was "Grease" 29.11.1998. 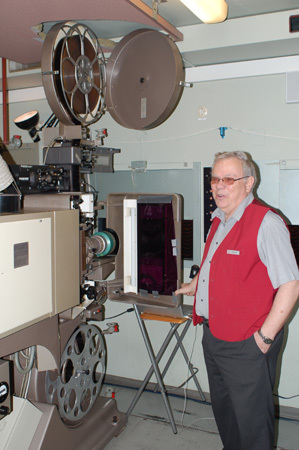 Closed and machines sold to Norwgian Filminstitute. 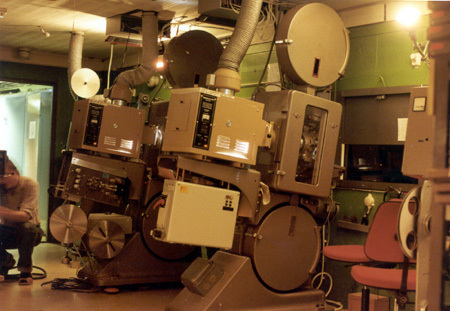 Two DP70 projectors (1737+2511) installed 1969. Now sold. 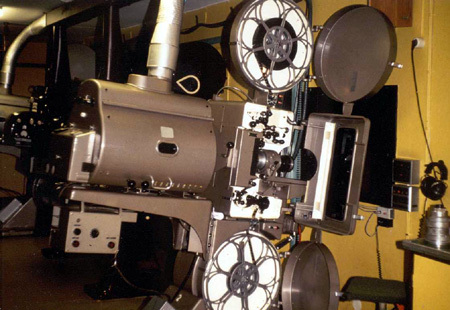 In 1987/88 I worked as a projectionist in a movie theater called Skandia in Halmstad, Sweden equipped with two DP70's. I found Skandia in your listings but without serial numbers and with the comment "Now sold". The machines was actually sold during my time and replaced with a Cinemeccanica non-stop system, running in non-non-stop operation ;-). A friend of mine in Stockholm also working as a projectionist was really chocked when I told him my company had replaced the machines and after a working with the Italian s**t for a while I understood what he meant... A time after they were sold, my friend found out that the machines were sold to a movie theater in Stockholm, and the next time I visited Stockholm we went by the movie theater in question and decided to go in and approach the projectionist just to have a look... I don't remember the name of the movie theater [Sandrew #1, ed] but I know exactly where it is OR maybe where it was. Do you want me to find out the name? It might be one that's already listed. Two DP70 (1620+1626) Opened in 2000. 35mm only. The mag. sound reader has been removed. The museum will be open for the general public as soon as i have renovated the facilities and it will contain a small cinema with 50 seats. Two DP70 (2344+2371) to Palladium, Göteborg. Cinema closed. Two DP70 (1346+1348) from Palladium, Stockholm. Cinema closed summer 1994. DP70 to Svensk Filmindustri in Stockholm. 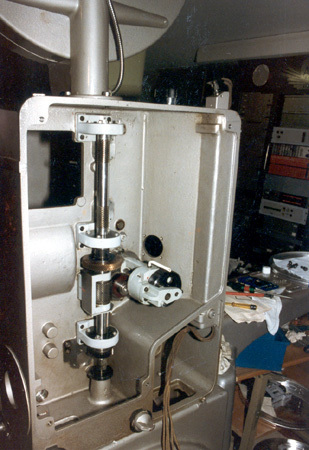 From august 1997, DP70 installed at Fontänen, Vällingby, Sweden. Two DP70 (2182+2192). 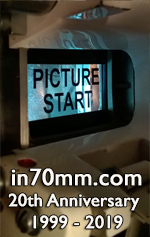 First 70mm was "Can Can" 07.08.1965. Closed 1987. DP70 to Scala, Karlstad. Four DP70 (1709+1711+2182+2192) DP70 1709 & 1711 taken out 1983 and moved to Filmhuset, Stockholm. A new pair from Royal, Karlstad installed 1987. Opened 1961 and closed 1990. DP70 moved to Skandia, Stockholm. 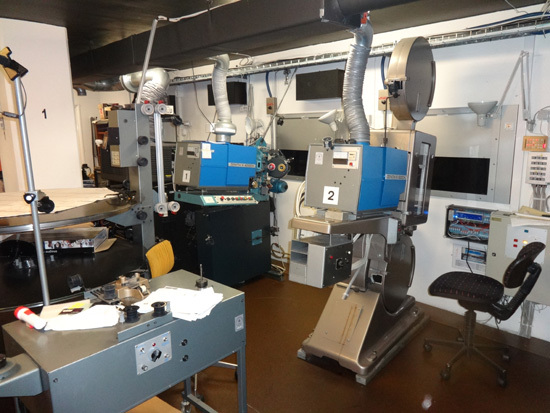 Two DP70 (2363+2383) taken out and sold to Cinemateket, Bergen, Norway. Three screens today. Two DP70 (928+929). Cinema closed 1996. DP70 to private in Göteborg. Two DP70 (1662+1817). Largest screen in Sweden. 17,6 m (for 70mm) deeply curved single sheet screen. Throw is 31,2 m. Opened 15.03.1961 with 3-strip Cinemiracle "Windjammer". 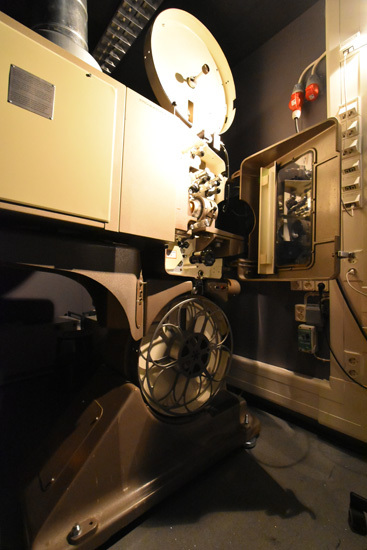 750 seats and 10th cinema in Sweden with DP70 projectors. 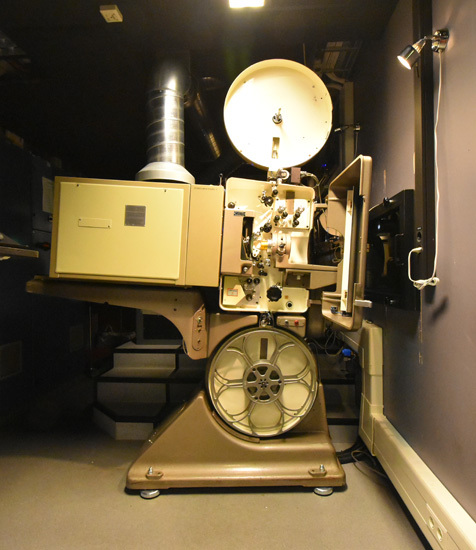 3 Century 3-strip projectors sold to private person in 1979 in Göteborg, Sweden. 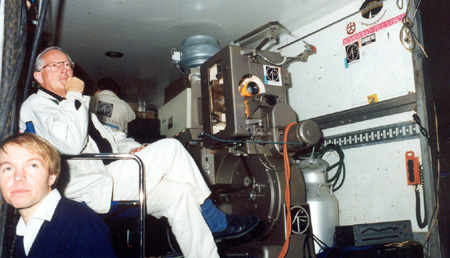 Spare projector head to Thomas Hauerslev in Copenhagen early 90s, and in summer 1997 to Peter Andren, Stockholm. First 70mm film was "El Cid", which opened 22.10.1962. THX. DTS. 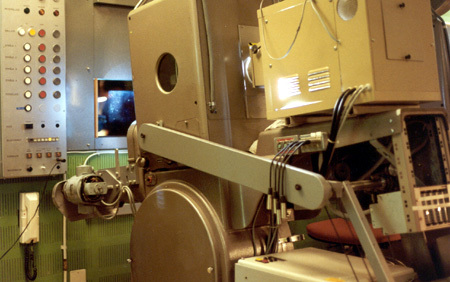 Celebrated 40th anniversary March 15, 2001 by showing "Windjammer" in 35mm single strip anamorphic. It was sold out. Director Louis de Rochemont (III) attended. Reopened with Todd-AO and "South Pacific" the 05.10.1959 with a 13,6 x 6,3 m curved Perlux Todd-AO screen. 931 seats. Cinema closed 1988. Projectors to Park, Stockholm. Cinema still standing. Re-opened as Bio Palatset 1994 and closed again in August 2004. Stefan Adler 20.05.2017: Note to self: Det är 40 år sedan du var nere och bytte bländarväxel i ena DP70:n på Scania i Malmö. One DP70 (1626) ins storage from spring 1998. For sale. Two DP70 (1350+1363). DTS. Closed 2007. 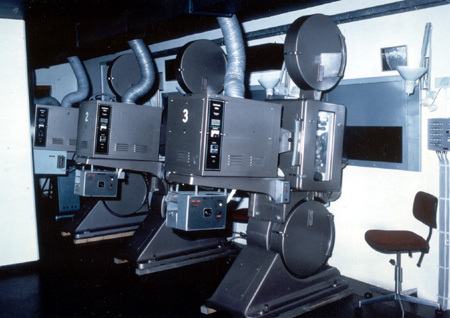 Projectors in storage. Two DP70 (1838+2461). Moved to Speglen, Uppsala. One projector may be projector from Vinterpalatset, Stockholm. Four DP70 (1651+1734+1816+1837). 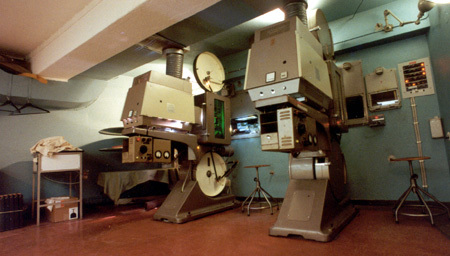 Projectors from Svensk Filmindustri, Stockholm. Opened 1996. Machines removed August 2010. Replaced by FP23 and a digital projector. Two DP70 (2336+2351) from Svensk Filmindustri fall 1995. THX. DTS. Opened 03.11.1995.. DP70s were never completely installed. DP70 sold to Focus, Hagsätra. Two DP70 (1709+1711) from Scala, Karlstad. Four DP70 (933+935+2299+2300) from 1959. DP70 933 & 935 moved to Riviera, Stockholm. A new pair installed and later removed and installed at Saga, Stockholm. Closed 1984. Used to be Garbio before DP70 was installed. Two DP70 (1346+1348) Cinema closed, now nightclub. Two DP70 to Speglen, Hälsingborg. One DP70 (1346 or 1348) from Fontänen, Vällingby. Two DP70 (796+798). 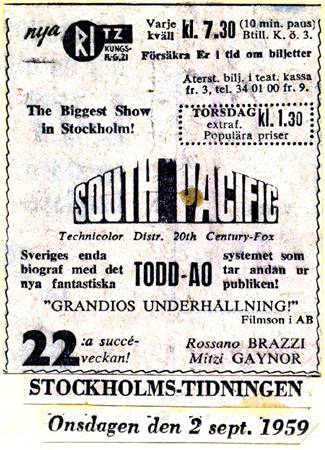 First Todd-AO cinema in Sweden. 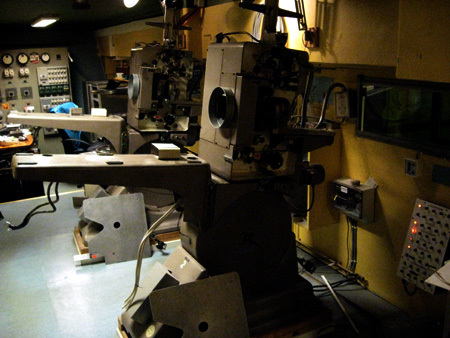 First film in 70mm was "South Pacific" 07.04.1959. Had previously shown "Around the World in 80 Days" in Cinestage (35mm print with 6 channel sound on seperate film). Projectors moved to Rigoletto #1. Jag tror att det är Riviera, jag började köra "The Sound of Music" där 1966 endast 18 år och 3 månader gammal. 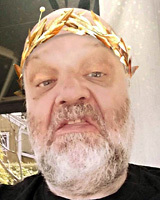 Det är kul att läsa dina sidor om DP 70 !!! One DP70 (1620) with 7000 watt xenon. Huge flat 25 x 15 m screen installed for one film "1939". Then taken out. One DP70 (1620). 1620 is a mobile projector and 1626 is used for parts. 1734+1837 moved from Draken, Göteborg fall 1993. 1659+1816 moved from Sergel fall 1993. 1659+1734+1816+1837 for later use from 1996 in Filmstaden Sergel, Stockholm. 2336+2351 moved from Centrum, Borlänge May 1992. 2336+2351 reinstalled Sergel fall 1995. (1626+1659+1734+ 1816+1837+2336+2351). As of winter 1999/2000, all DP70s except 1620 and 1626 are reinstalled. 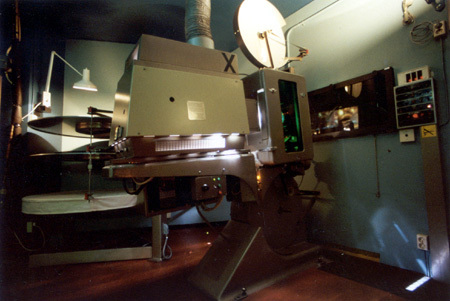 One DP70 (1899) used in local screening/recording studio. Two DP70 (1844+1845). First 70mm was "El Cid" 02.04.1962. Projectors moved to Sandrew, Gävle. One DP70 for for two weeks testing. Either 1838 or 2461 at Speglen, Uppsala. "Windjammer" in 3-strip Cinemiracle from 03.09.1958 for 20 months on 20 m screen 180 sqm Converted to 3-strip Cinerama in May 1960. 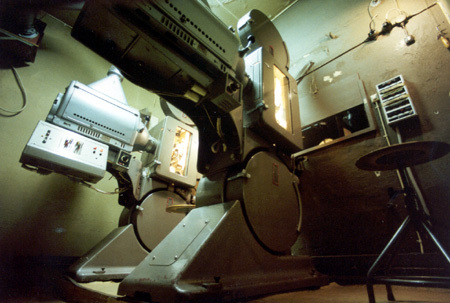 Converted to a 70mm Super Cinerama theatre 11.09.1964 with opening of "It's a Mad, Mad, Mad, Mad World". 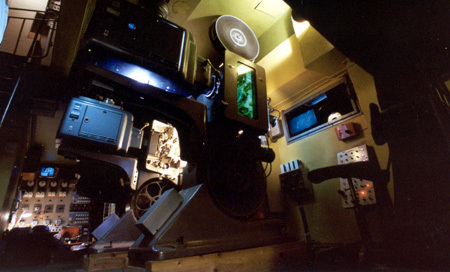 Finally Cinemeccanica Victoria 8 was installed. Closed 31.12.1977. Last film was "Battle of Midway" in Sensurround. Demolished early 1978. Now office block on site. 2017 update, only DP70 #1768 is left. Number 1774 and 1875 have been junked. Picture by Jan Mickels, Sundsvall. 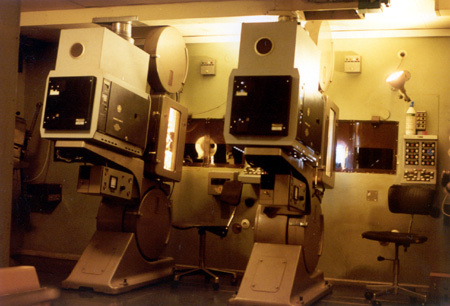 Machine number 1 is a Victoria 5, and at far left, a Christie digital projector. Three DP70 (1837+1844+1845). #1837 from Saga, Enköping. 1844+1845 from Sandrew, Gävle. Two DP70 (1620+1628). Closed 1620 (mobile) and 1628 (for spare parts) to SF, Stockholm. Two DP70 (1838+2461). Machines removed July 2010. Replaced by FP23 and a digital projector. Two DP70 (1346+1348) from Svensk Filmindustri in Stockholm from august 1997. First 70mm was "Grease" 06.12.1998. Projectors replaced. One DP70 put in storage. One DP70 to private in Stockholm. Road show unit #1 – # 5 5 double equipments (») moving from one town to another from 1960 to (app) 1971. 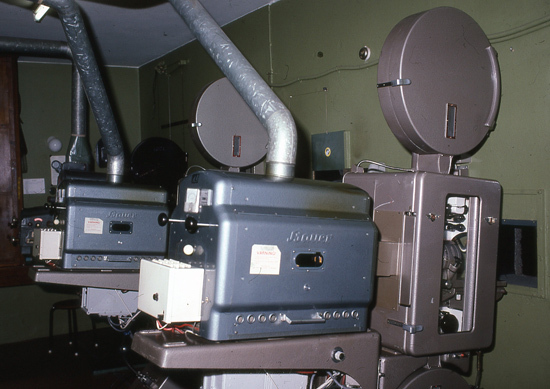 Projectors later installed at: Saga (Hälsingborg), Cinema (Karlstad), Centrum (Köping), Folkets Hus (Sundsvall), Fogel Blå (Uppsala). Road show unit #6 -# 7 2 double equipments moving from one town to another (Svensk Filmindustri AB). 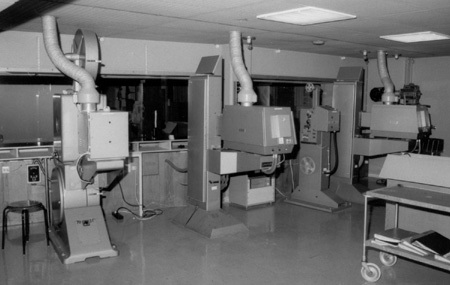 Projectors later installed at: Skandia (Borås), Skandia (Halmstad).